“As an ad technology vendor to clients around the APAC region for the past four years, I've gained a wide perspective on how the industry is evolving to deal with core challenges such as transparency, automation and a seemingly endless supply chain,” Brahe says. “These aren't media issues - they're business issues. Often there's a need to educate the C-suite on the changes wrought on their industry, market or audiences by the proliferation of technologies and channels capturing people’s attention. Brahe left media measurement and analytics company comScore before Christmas after the business cut its Australian team, making about seven staff redundant. Despite job cuts comScore is continuing to provide services in Australia and New Zealand. Kilmartin will focus on client advisory and was previously head of Reprise Melbourne, Perth and Adelaide. He has been with the business for six years and led the growth of Reprise Melbourne from three people in 2011 to 35 people today. He has also overseen the Perth market and was directly responsible for launching the highly successful Reprise Adelaide operations. “Accelerating the skill sets, effectiveness and competitive positioning of Reprise is a primary focus for us this year,” IPG Mediabrands CEO Danny Bass says. Grace Liu will be joining Reprise Australia at a date to be fixed in the near term. Kilmartin’s appointment is effective immediately and Brahe will join the business this week. 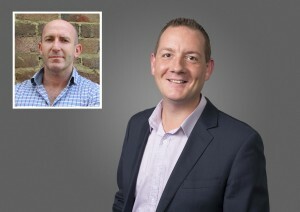 Jules Kilmartin and Lachlan Brahe (inset) have been appointed as GMs of Reprise. Former Australian leader of comScore and second-in-charge for Asia-Pacific, Lachlan Brahe, is joining IPG Mediabrands as GM of the group’s digital experience business, Reprise. Brahe is one of two national GMs appointed for Reprise with Jules Kilmartin, currently head of Reprise Melbourne, Perth and Adelaide, promoted to GM. Brahe will oversee growth and product and Kilmartin will be tasked with client leadership including strategy, account management and implementation. Both will report to Grace Liu, who was recently appointed CEO of Reprise Australia.